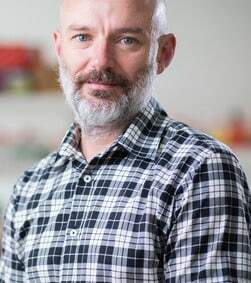 Associate Professor Glen Reid was appointed ADRI’s Senior Research Scientist in April 2009, and he established the Institute’s cell and molecular biology labs. He is also conjoint Associate Professor at The University of Sydney Medical School and Adjunct Professor at UTS. His research focuses on the identification of new markers and molecular targets for malignant mesothelioma, with a particular focus on microRNAs. This work has laid the foundations for the current clinical trial of microRNA replacement as a therapeutic approach in malignant pleural mesothelioma and non-small cell lung cancer patients. In 2017 he was appointed Deputy Director of the ADRI.